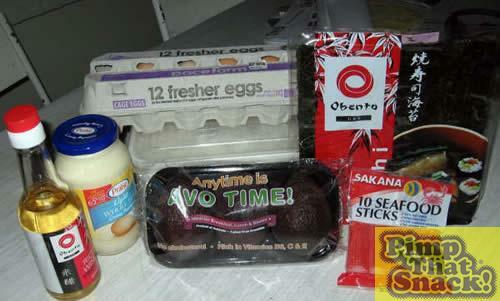 Someone posted on the forums about thinking there should be more savoury pimped snacks and it piqued my imagination. I love sushi. So does my flatmate. 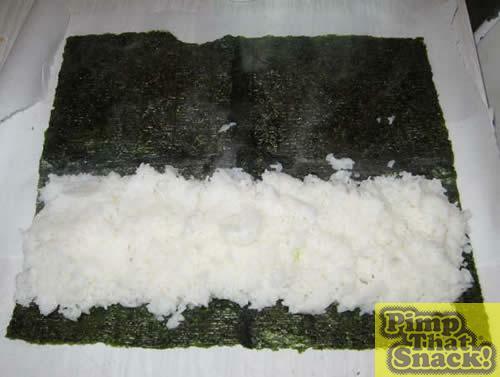 So we decided to make.... the GIANT CALIFORNIA ROLL OF DOOM! 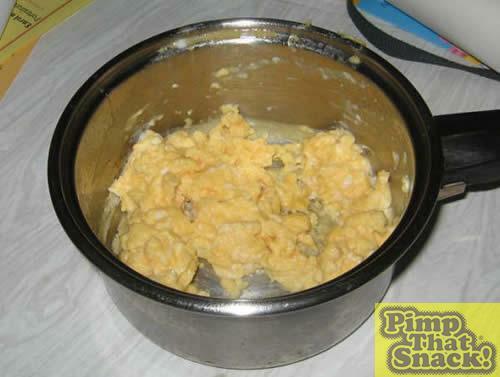 Step One: Make Scrambled Eggs in a saucepan. Don't forget the non-stick spray or your project will grind to a halt before it even starts. 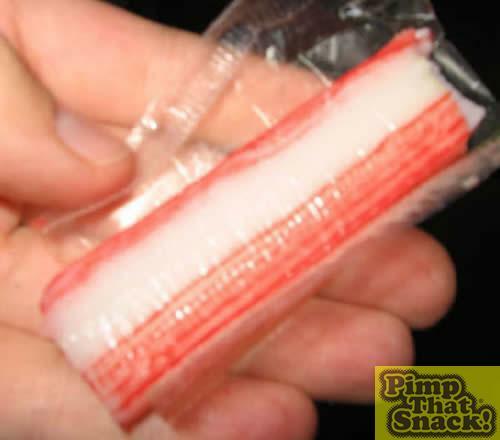 Step Two: Unwrap crabsticks (yes, these ones were the only not frozen ones, and they were individually wrapped). Step Three: Steam rice in the microwave for four times for five minutes on medium high so it doesn't leak all over the microwave. This is a good time to do the vaccuuming, fold the laundry and check your email. 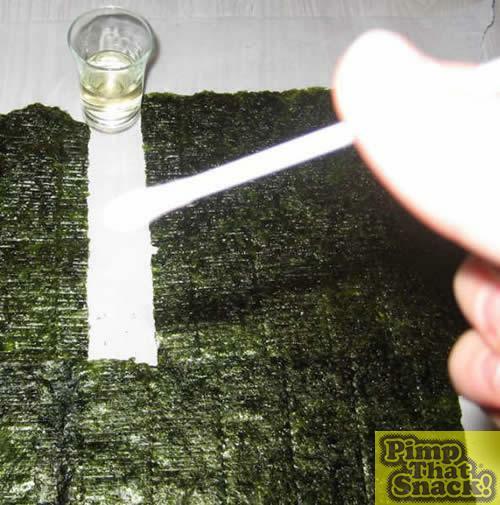 Step Four: Paste the sheets of Nori paper together using rice wine and a cotton tip (we don't own a basting brush). Brush a line on the two joining sides along the edge and stick. Don't be stingy with the rice wine cos it'll fall apart if you are. Step Five: Start assembling. Rice first. 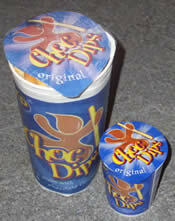 It needs to be sticky, to the point that trying to get it off the spoon will result in gluing one's fingers together. Step Six: Add egg. Use a knife to get the crunchy bits off the bottom of the saucepan after forgetting to take it off the hotplate and burning the base.